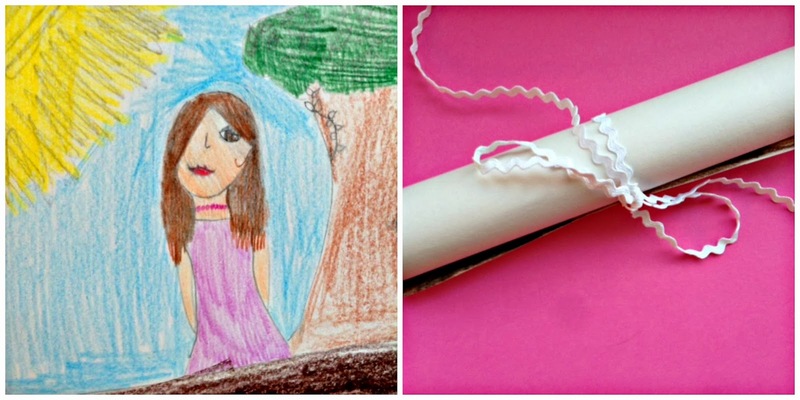 Create a time capsule with your kids for their future selves. Do your kids ever wonder what they'll be like when they grow up? In this article I'll show you how to help your kids create a top-secret (birthday) time capsule their future selves will treasure for a lifetime. Why? Time capsules are a fantastic way to take a slice of the present and preserve it for the future. Your kids will have the opportunity to reach out to their future selves. What might your 10-year-old daughter say to her 20-year-old self? What special memories will that 20-year-old girl uncover when she opens the birthday time capsule from her younger self? I buried a time capsule once. Have you? When I was 12, my twin sister and I buried one on our farm. (READ the entire story here). Shrinky Dinks were invented in 1973.
manufactured by the major toy companies of the time. 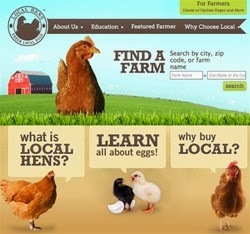 ...We'd heard that someday the city would expand and our farm would be overrun with streets and houses. We wanted people to know about the girls who had lived there in the past. Years later, long after Dad sold the farm and we moved away, we found out they were going to tear down the house, so my sister and I asked if we could go dig up our time capsule. After 34 years, pulling our treasures from the rusty old lunchbox felt amazing. Each item was a magical key to the past that unlocked forgotten memories--stories we could share with our kids. Just think how much more powerful our experience might have been if we'd created our time capsule with ourselves in mind as the recipients! 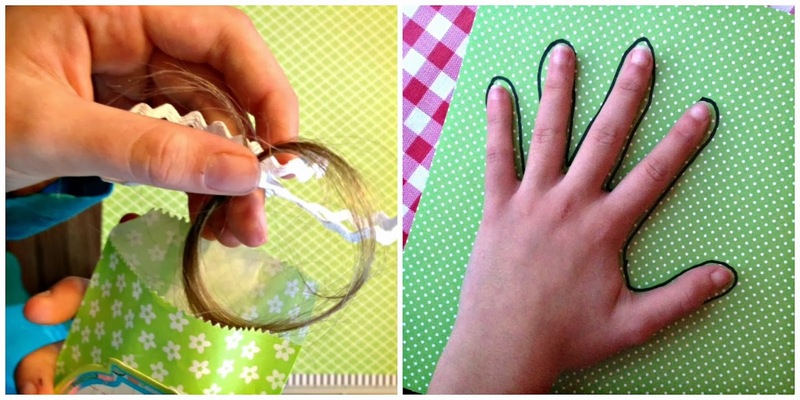 That's what your kids will do in this fun and super meaningful activity. * You can find plain shoebox size storage boxes at craft stores. All the supplies you'll need for this no-mess paper project. kids gather mementos and memorabilia. Encourage your kids to take their time. After all, they're creating a gift for one of the most important people they'll ever know: themselves. 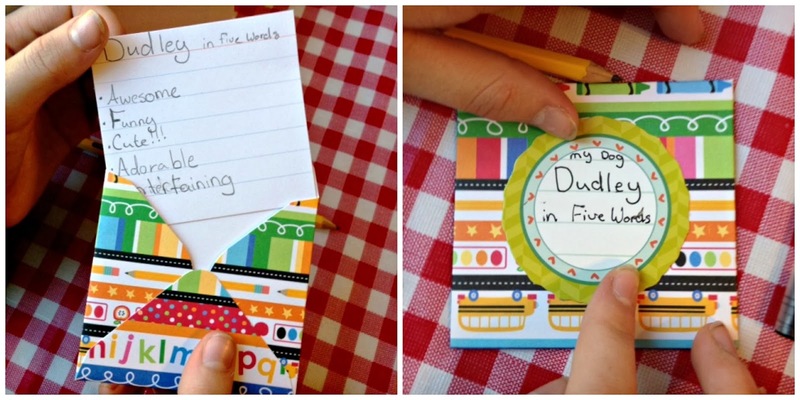 #1: Write a secret letter to each of your kids. Before you start this activity with your kids, take a few minutes to write a short letter to each child. Make the letters meaningful and heartfelt as you tell your grown-up kids in the future what they're like as children today. 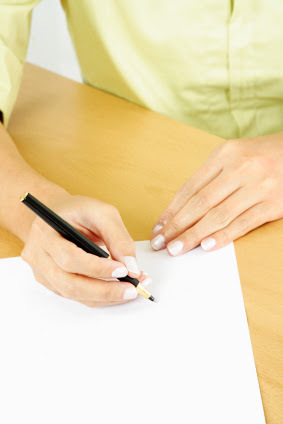 Write a letter to your kids' future selves. If you limit the letters to one page (or half page), they won't seem overwhelming. Just share the highlights. When you're done, seal each letter and set them aside. 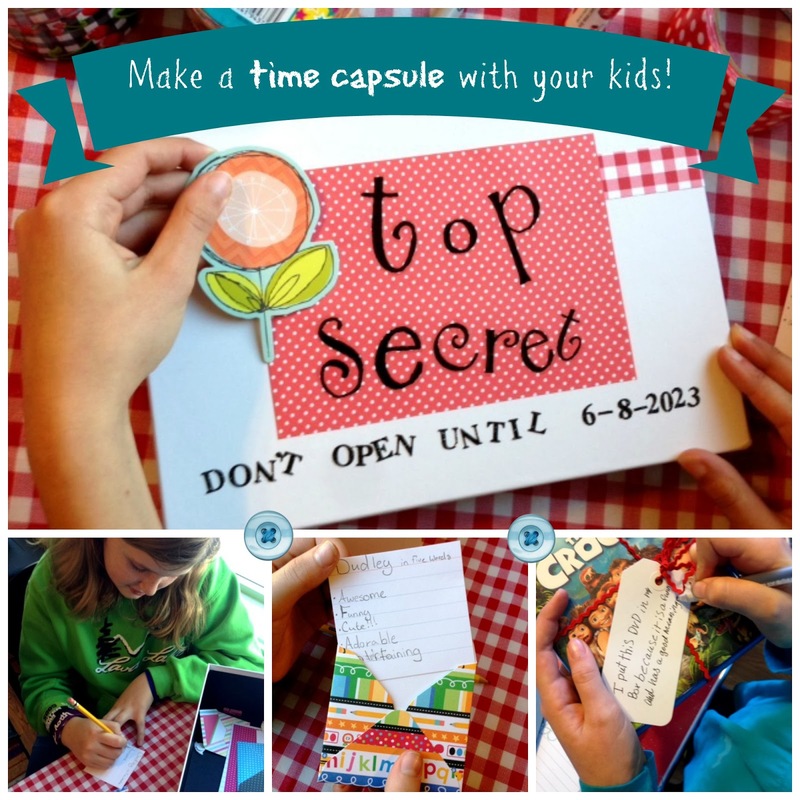 You'll surprise your kids with them right before they seal their time capsules. #2: Decorate the time capsule. Using colored cardstock, scrapbook paper and birthday stickers, decorate the lid of the box. Make it look like a birthday gift. Use the alphabet/ number stickers to write Top Secret and Don't open until (child's birthdate 10 years from now). While it's not really necessary to decorate the box, it's a fun part of the project to do with your kids. Creating a custom box will give the time capsule an air of importance and get kids invested in the project. #3: Capture snippets of who your kids are right now. Cut pieces of cardstock or lined index cards to fit into the miniature envelopes. are and what's important to them. The whole idea is for your children's future selves to encounter their younger selves again. Messy, childish writing is part of that. Describe in 5 words their room, pet, family member, etc. title of the card inside. When you're done, place the unsealed envelopes inside the box. 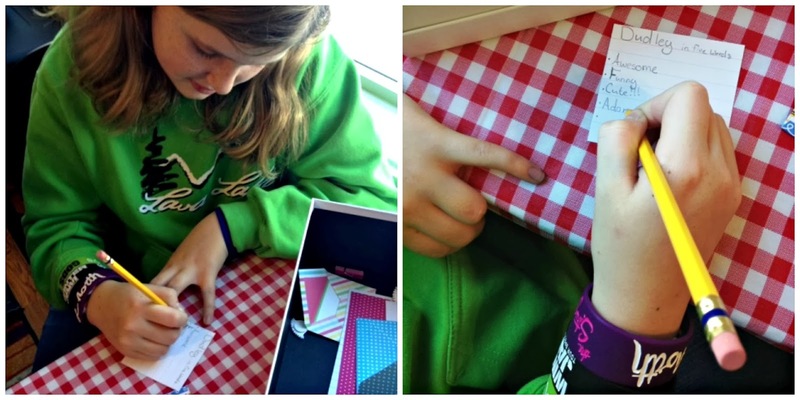 #4: Make a birthday card and write a letter for the future. Since the time capsule will be opened on your child's birthday, 10 years in the future, include a birthday card with this very special present. Make a blank card from cardstock and use the craft supplies you've gathered to help your kids create a handmade birthday card. You are now (child's age in 10 years). I am writing to you when I'm (child's current age). I...(your kids can describe themselves--not just looks, but what they like, are good at, enjoy doing, etc.). When I think about you in the future, I ...(dream of, imagine, want, wonder, hope, etc.). Encourage your kids to take their time writing to their future selves, like they might to a best friend. This letter will be very meaningful to them when they open it in the future--if for no other reason than simply learning what was important to the younger versions of themselves. but wait to seal it until later. 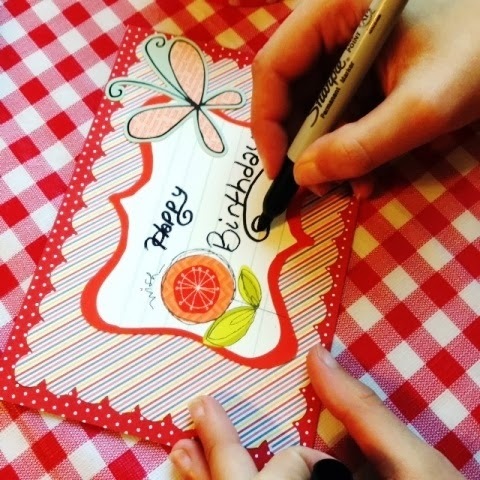 When they're finished with their letter, your kids can decorate the envelope with birthday stickers. Label the envelope like the other smaller ones, but wait to seal it until after the dedication ceremony. Place it in the box. #5: Gather and label memorabilia. You kids have written down lots of good information about the present to share in the future, but it's also important to include some "stuff" that's representative of their lives today. Kids' hair can change a lot in 10 years. Including a lock might be fun. those of their future selves. Important note: Avoid placing food, batteries or anything with moisture in your time capsule. These will likely ruin the contents over time. However, 2 or 3 small, clean wrappers from your kids' favorite snack foods might be fun to include. Your kids may think they'll remember why they put a memento in their box, but in 10 years, they'll be glad they wrote it down. Also, what they write and how they write it are yet further expressions of who they are today. Label every item included in the box. On your tags, include where each item came from, why it's important, etc. If it's artwork, tell what the picture is about, when it was drawn, etc. labeled, tied and packed into the box. Be sure to include photographs not only of your kids, but also of the commonplace things you see or use every day. Take a picture of your house, your car, your pets. Include a school or family portrait, photos of your kids' school or room, activities with family and friends, and important events that took place in the last year. Include photos of where you live. Make a simple photo album from cardstock and be sure to include details about each photo. Once everything is labeled, arrange all of the memorabilia in the box so it fits nicely. Now it's time for the dedication ceremony. #6: Hold a dedication ceremony. Invite the family to a small dedication ceremony where the kids present what is included in their time capsules. 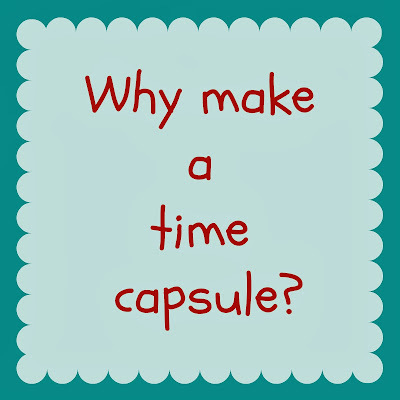 This can be the same day, or another time soon after your kids finish their time capsules. This doesn't have to be a huge affair, but try to make it memorable. You might serve some kind of refreshments. When your kids are finished presenting, congratulate them. Then surprise them with the secret letter you've been holding back for each of them. You might say, "There's one more thing that has to be included," and then present the sealed letter(s). They'll have to wait 10 years to read them! tiny gifts to open in 10 years. of the box are seen again. #7: Hide the time capsule. Hide the time capsule indoors. Burying it outside may sound fun, but it's much more risky. The location might be forgotten. Or the contents could get ruined (take it from someone who buried her stuff in metal lunchbox: It didn't hold up nearly as well as it would have indoors). I hope you will make a time capsule with your kids and share the joy of making it now and opening it many years from now. You'll be glad you did. What do you think? 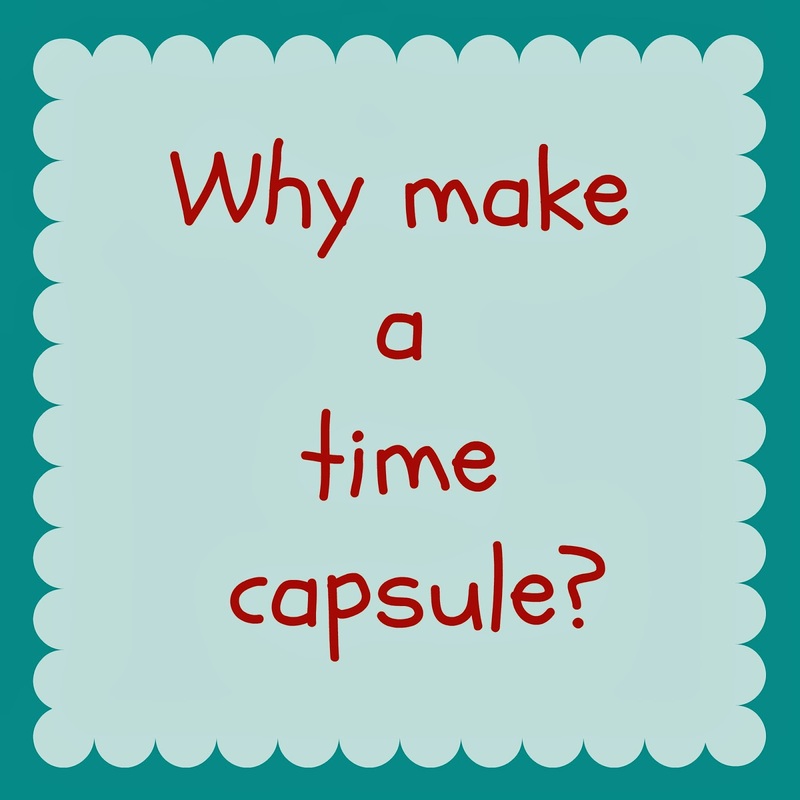 Did you ever do a time capsule yourself? have you ever wished you did? 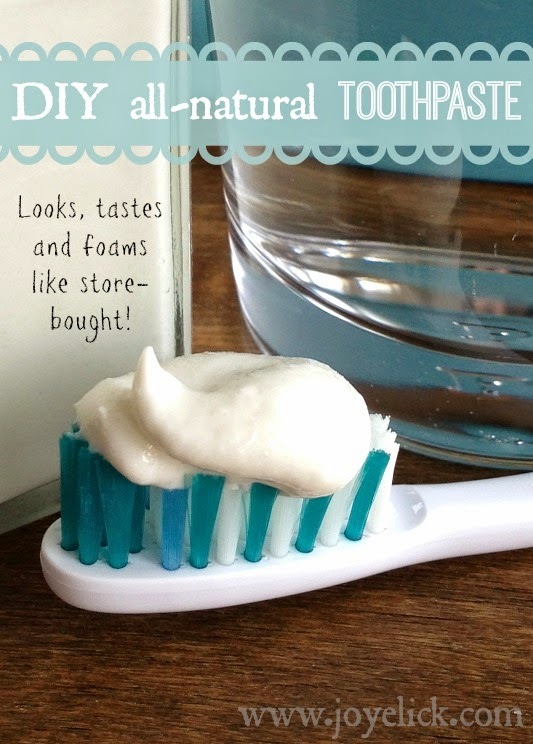 Now you can help your kids make one. What things will you and your kids include? I'd love to hear from you in the comments below. Note: I originally wrote this article for My Kids Adventures. It first published on their website January 6, 2014. Now, it is republished here.